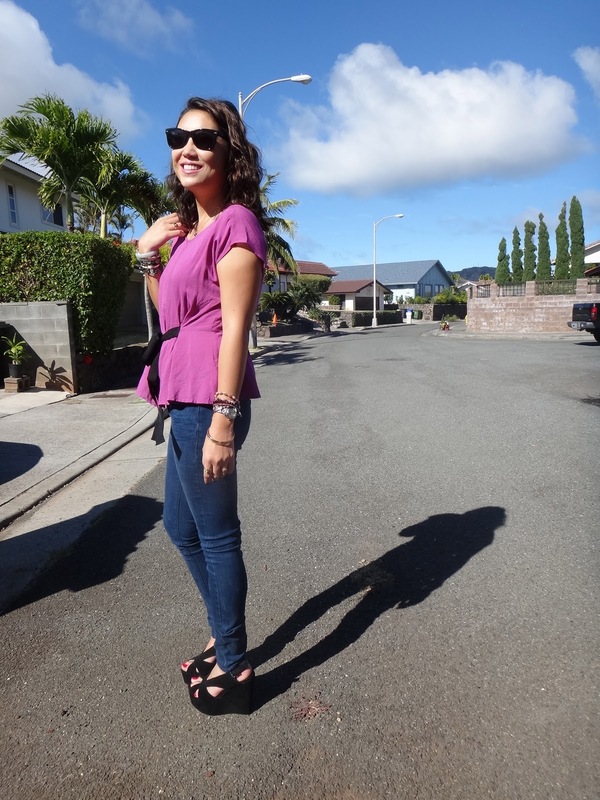 I wore a vintage Urban Outfitters blouse, BDG jeans, Jeffrey Campbell Mariels, and Rayban Wayfarers. I had a late afternoon school conference demo-ing one of my products. I decided to be casual, yet sophisticated and comfortable. Besides, why did I need to dress up for Elementary kids? After the conference, Dad agreed to take me to a new "foodie place," he calls it. 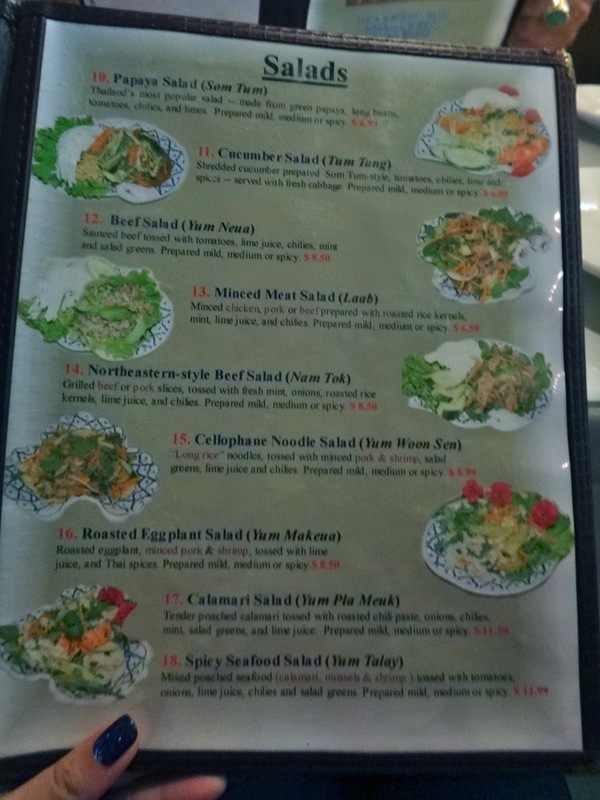 Looked up places in the area, and decided on Siam Garden Cafe. With all of its mixed reviews, I wanted to try it still yet. Out of all the Thai restaurants, this one had one of the top number of Yelp reviews. Seemed like a LOT of people know about this place, and have tried it some time or another. Reviews varied- some said the food had no taste, others said the service was horrible, some said it was their favorite place, some said the Tom Yum and Tom Kha were the best on the island. I mean, come on, I had to try it! So Dad and I got there around 7pm. Crowded for a Thurs night, and by the time we left, the whole place was filled! I was surprised, because of its location. Kind of out of the way- on Nimitz Hwy by Eagle Cafe. It's located in Nimitz Shopping Center. Dad and I picked out the Summer Rolls for an appetizer, then agreed to pick our own meals and share from there. Our verdict? Dad liked it so much, he said he would drive out here indefinitely! The food was so flavorful. 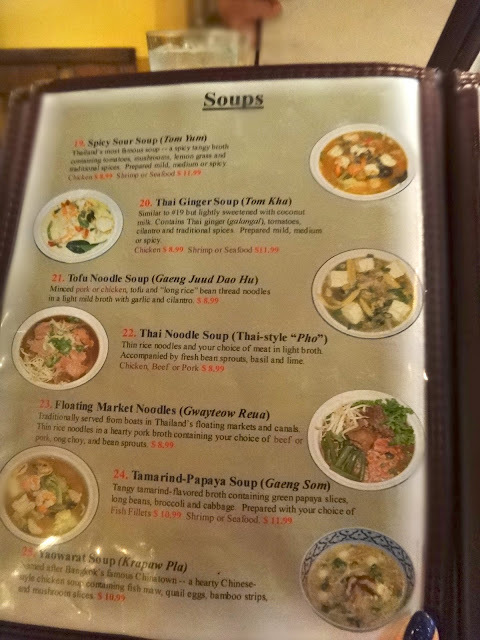 Although I've had better Pad Thai at Maile's Thai Bistro, I have to rave about Siam Garden's Tofu Noodle Soup. My goodness, Dad definitely picked a winner! The first thing I thought of when I put some soup in my mouth was the strong taste of garlic. But hey, I love garlic! It was one of the most tastiest soups I've had. I loved all of its ingredients from the MANY mushrooms, baby corn, long clear noodles, sausage, and big tofu squares. All of my favorite things in a big tasty soup?! YES PLEASE! And for a very reasonable price...even better! 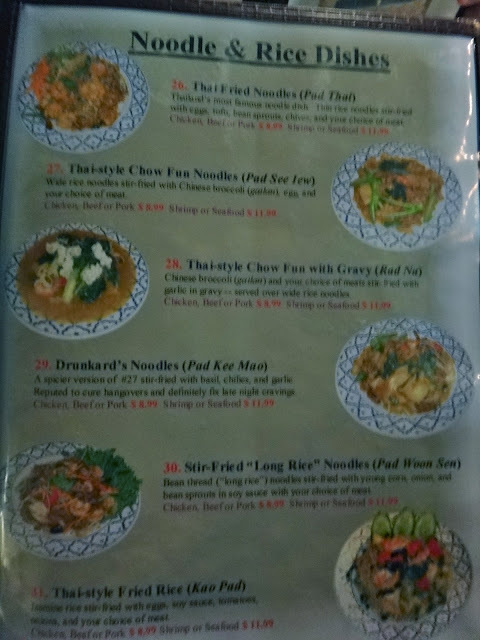 The prices for their extensive menu was all so reasonable, especially for the portion size. It didn't even look like I made a dent in my Pad Thai! The best part? You can ask for no MSG. My parents are highly allergic to MSG, and for everyone, it's not the best thing to put in your body. It does indeed make your food taste a whole lot better in my experience. But surprising thing- the thai food was nonetheless so extremely tasty, and no MSG added! Those Thai people...very good at making their traditional food. 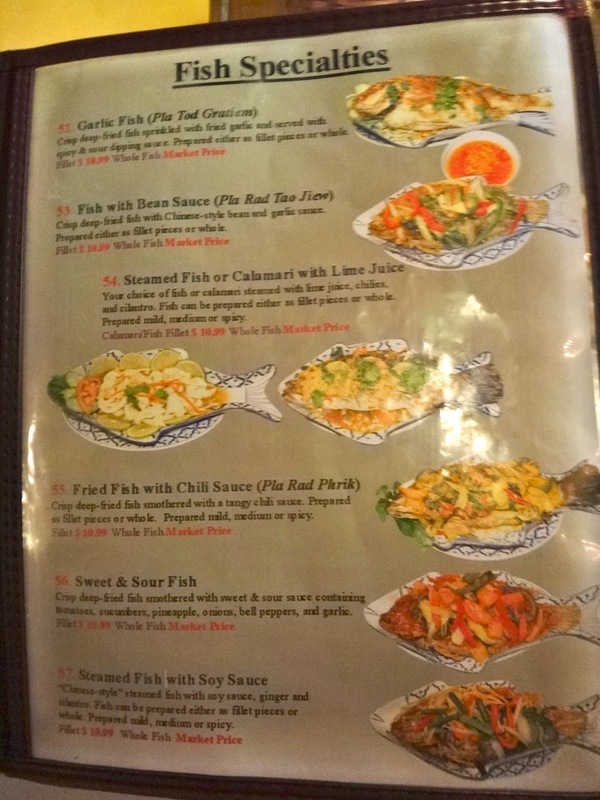 Also, almost all of the waitresses and owners were ALL Thai and from Thailand. They were friendly and helpful, and service was pretty good by my standards. I didn't have a problem at all with service! So my vote? YES!! Siam Garden is a YES for me. We will be back! As far as parking goes, if there is no parking in the front of the restaurant, you can always go in the back structure where there is LOTS of free parking! Be sure to park in the 2 hour customer parking spaces! 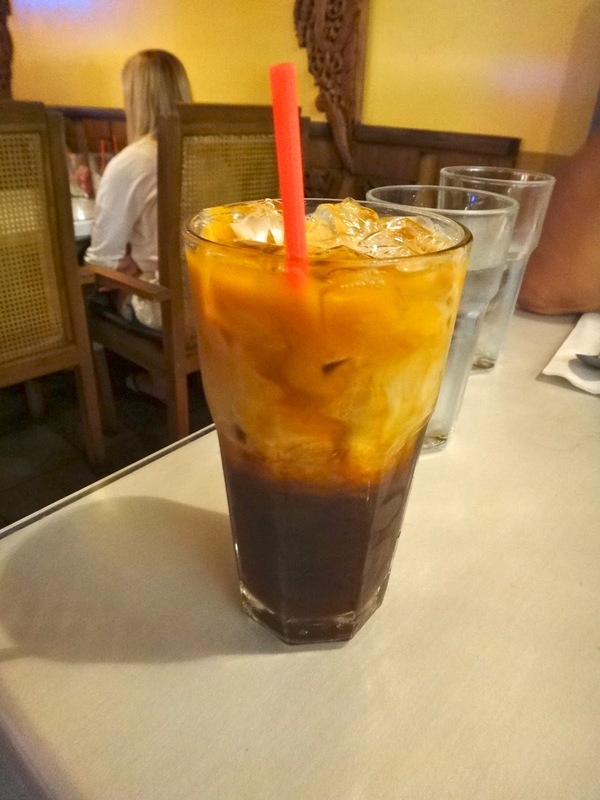 Thai Iced Tea! A BIG glass! I love it! Summer Rolls were so delicious and fresh. We definitely ate it too fast. Tofu Noodle Soup, my favorite! It's so funny how every time you put a food post up I grave it the same week! Such a coincidence :) I'm on the hunt for a good thai ice tea mix.. I LIVE FOR THAI ICE TEA! This place looks sooo good. Ohh and those watermelon mojitos are homemade :P Inside is watermelon, mint, bacardi and ginger ale :)and you just crush everything together pretty much. you can check them out! you have great selection of photos on your blog!